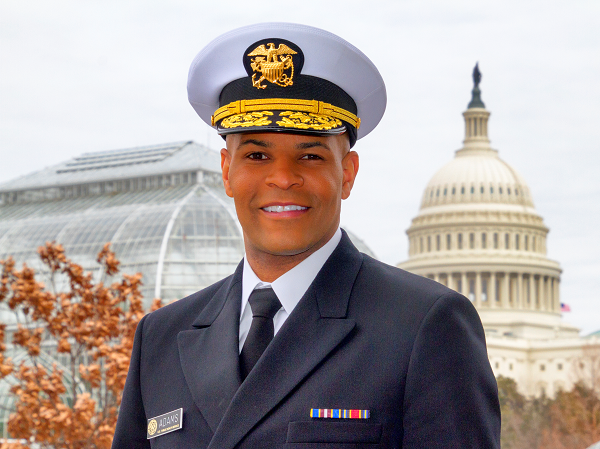 CADCA is honored to announce Dr. Jerome M. Adams, the 20th Surgeon General of the United States, as a keynote speaker for the 29th Annual National Leadership Forum. As the Nation’s Doctor, the Surgeon General’s mission is to advance the health of the American people. Dr. Adams’ motto as Surgeon General is “better health through better partnerships.” Dr. Adams is committed to maintaining strong relationships with the public health community and forging new partnerships with non-traditional partners, including business and law enforcement. He has pledged to lead with science, facilitate locally led solutions to the nation’s most difficult health problems, and deliver higher quality healthcare at lower cost through patient and community engagement and better prevention. As the Vice Admiral of the U.S. Public Health Service Commissioned Corps, Dr. Adams oversees the operations of the U.S. Public Health Service Commissioned Corps, which has approximately 6,500 uniformed health officers who serve in nearly 800 locations around the world to promote, protect and advance the health and safety of our nation and our world. Dr. Adams, a board-certified anesthesiologist, served as Indiana State Health Commissioner from 2014 to 2017. Dr. Adams holds bachelor’s degrees in biochemistry and psychology from the University of Maryland, Baltimore County, a Master of Public Health degree from the University of California at Berkeley and a medical degree from Indiana University School of Medicine. Previously Dr. Adams was as an associate professor of clinical anesthesia at Indiana University School of Medicine and a staff anesthesiologist at Eskenazi Health. He has held leadership positions at several professional organizations, including the American Medical Association, the Indiana State Medical Association and the Indiana Society of Anesthesiologists. He is the immediate past Chair of the Professional Diversity Committee for the American Society of Anesthesiologists. We are very excited Dr. Adams has accepted CADCA’s invitation to the 2019 National Leadership Forum and look forward to his insights and perspectives on substance use prevention. 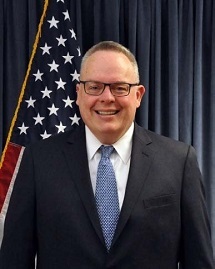 Jim Carroll, Director, Office of National Drug Control Policy (ONDCP) will serve as the keynote speaker at the National Leadership Plenary during the 29th Annual National Leadership Forum. Carroll will also participate in the National Coalition Academy Graduation. Prior to joining the Office of National Drug Control Policy, he served as Assistant to the President and Deputy Chief of Staff at the White House. Previously in the Administration, Mr. Carroll served as General Counsel of the Office of Management and Budget and as Deputy Assistant and Senior Counsel to the President. Before joining the Trump Administration, Mr. Carroll served as Washington Counsel at the Ford Motor Company and as General Counsel of the Ford Motor Company Fund, the company’s philanthropic arm that supports non-profit organizations and initiatives. During the George W. Bush Administration, Mr. Carroll held several positions including Special Assistant and Associate Counsel to the President at the White House, Deputy General Counsel and Acting General Counsel at the U.S. Department of the Treasury, and as an attorney at the U.S. Department of Justice. Mr. Carroll began his career as a state prosecutor in Virginia after earning his bachelor’s degree from the University of Virginia and his J.D. from the George Mason University School of Law. After a celebrated 15 year career in the hospitality industry, Allen is now a full-service content provider that focuses on high-quality production for film, television, commercials, corporate clients and the Internet. Allen began his career in the entertainment industry as the Music Supervisor for Emmy nominated TV One, four part original series hosted by Rev Al Sharpton titled Murder in Black & White. He was then the Producer for Mike Tyson’s event series, Iron Mike Productions, which aired on Fox Sports in 2014 and was the #1 rated show on the network that year. Additionally, Allen was the Creative Producer of the TV series titled GIVE which aired weekly on NBC in 2016 and 2017. Give won the 2017 Daytime Emmy award for Outstanding Children’s or Family Viewing Series at the 44th annual awards program. 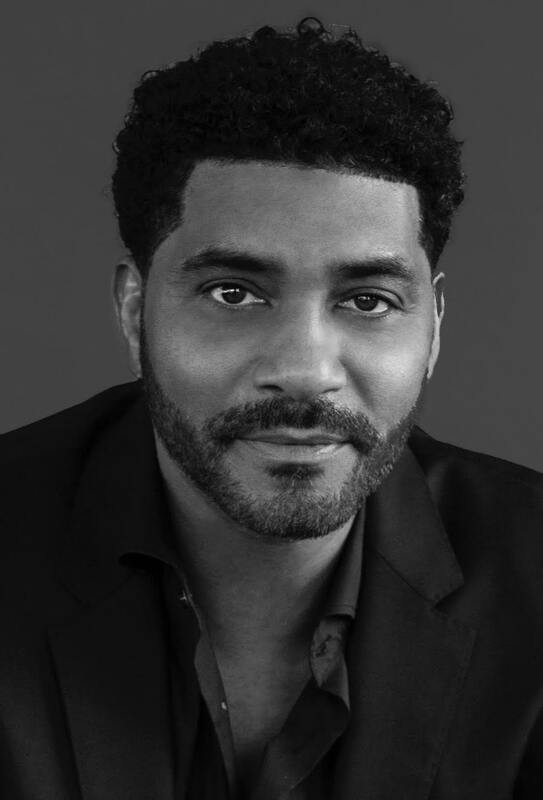 Allen is currently the Executive Producer and Supporting Actor of a SAG Independent full-length motion picture titled Life, Love, Soul which aired on BET Her October 12, 2018. Allen is also the Director and Executive Producer of a weekly docudrama titled Addiction Unplugged airing on A&E Q1 of 2019. Allen recently formed Essential Content, a television production company solely focused on producing socially impactful lifestyle and global music content for the millennial and GenZ audience. He will receive CADCA's 2019 National Newsmaker Award and speak at the Membership Breakfast. Jerilyn Simpson Jordan, Founder and CEO of San Bernardino Communities Against Drugs, Inc., will serve as the keynote speaker for the 2019 National Coalition Academy Graduation on Tuesday, February 5, 2019. Her leadership qualities led to many invited positions at the local, county, state and national levels. Her strong and effective initiatives and programs for prevention have earned her numerous awards and national recognition. Jerilyn’s visionary leadership transformed a local grassroots anti-drug abuse organization into a nationally admired coalition. In 1991 she was appointed to the Steering Committee of President George H.W. Bush’s Drug Advisory Council, where she was one of very few individuals selected in the U.S. In 1992 she was a founding member of CADCA and Jerilyn has remained active in CADCA leadership activities. In 2012 Jerilyn received the CADCA Advocate of the Year Award. This year, CADCA will honor three organizations instrumental in the prevention movement. We are honored to have these three partner agencies represented by three individuals CADCA has worked directly with in the past to ensure progress is being made in addressing some of the most pertinent and serious public health issues this country faces. Past CADCA National Leadership Awardees include experts such as Dr. Bertha Madras, Dr. Steven Schroeder and Dr. Alan Leshner. From the political field, awardees included Senators Sheldon Whitehouse, Chuck Grassley, Rob Portman, and Chris Dodd; Congressmen Sander Levin, Hal Rogers, Elijah Cummings and Congresswoman Mary Bono. 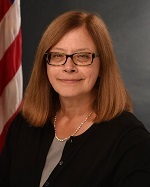 Elinore McCance-Katz, MD, PhD is the first Assistant Secretary for Mental Health and Substance Use. She obtained her PhD from Yale University with a specialty in Infectious Disease Epidemiology and is a graduate of the University of Connecticut School of Medicine. 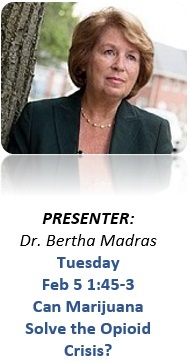 She is board certified in General Psychiatry and in Addiction Psychiatry. She is a Distinguished Fellow of the American Academy of Addiction Psychiatry with more than 25 years as a clinician, teacher, and clinical researcher. Most recently she served as the Chief Medical Officer for the Rhode Island Department of Behavioral Healthcare, Developmental Disabilities and Hospitals and as the Chief Medical Officer for the Eleanor Slater Hospital system which is Rhode Island’s state resource for patients with the most serious mental illnesses and medical illnesses requiring long term, inpatient care. She was also Professor of Psychiatry and Human Behavior at Brown University. Dr. McCance-Katz will accept the award on behalf of SAMHSA and provide comments. 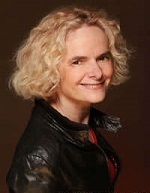 Nora D. Volkow, M.D., became Director of the National Institute on Drug Abuse (NIDA) at the National Institutes of Health in May 2003. Dr, Volkow will accept the award on behalf of NIDA and provide her thoughts with the audience. NIDA supports most of the world’s research on the health aspects of drug abuse and addiction. Dr. Volkow’s work has been instrumental in demonstrating that drug addiction is a disease of the human brain. As a research psychiatrist and scientist, Dr. Volkow pioneered the use of brain imaging to investigate the toxic effects and addictive properties of abusable drugs. Her studies have documented changes in the dopamine system affecting, among others, the functions of frontal brain regions involved with motivation, drive, and pleasure in addiction. She has also made important contributions to the neurobiology of obesity, ADHD, and aging. George F. Koob, Ph.D., is an internationally-recognized expert on alcohol and stress, and the neurobiology of alcohol and drug addiction. He is the Director of the National Institute on Alcohol Abuse and Alcoholism (NIAAA), where he provides leadership in the national effort to reduce the public health burden associated with alcohol misuse. 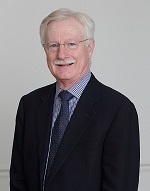 As NIAAA Director, Dr. Koob oversees a broad portfolio of alcohol research ranging from basic science to epidemiology, diagnostics, prevention, and treatment. Dr. Koob will accept the award on behalf of NIAAA during their Power Session.